The sales have been amazing and I took full advantage, specially at Express. 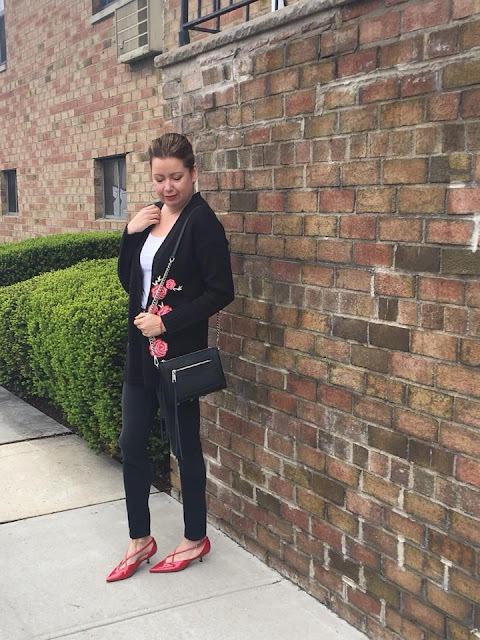 I stopped shopping there for a long time, but recently re-discovered it and found so many items that can be styled for the weekend as well as for the office. 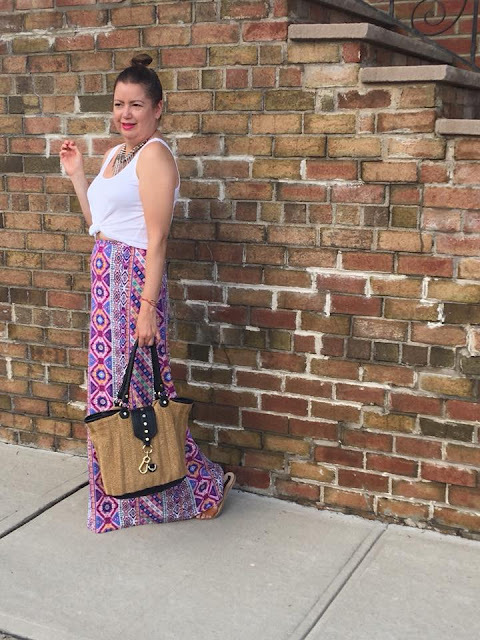 Oh sugar, this skirt is everything and the full styling is just super gorgeous. I love, love this look at you. So beautiful! Funny thing is, I have my heart set on this necklace but they're sold out in Canada! Oh bummer! This one was the last one at the store.. The look is great on you. Youthful but not trying too hard, and your legs are made for heels! I love this uncomplicated and very fashionable look. You wear it well. The portions and balance are spot on. I LOVE love love this look on you! Can I have your legs?!? Your legs are rocking! A gorgeous look girl!